Many of rap’s greatest dynasties marched to the beat of a signature sound: Def Jam’s ascension in the mid-’80s was spearheaded by Rick Rubin, whose stripped-down style helped set Run-D.M.C., LL Cool J, and the Beastie Boys onto the path to greatness; during the early-to-mid-’90s, the Death Row empire was backed by Dr. Dre’s G-funk sound, while Puffy’s Hitmen crew laced the Bad Boy machine with polished R&B samples; and in the late ’90s, Mannie Fresh’s futuristic bounce served as the backdrop for Cash Money’s rise to prominence. Meanwhile, the Roc-A-Fella era in the first half of the ‘00s was soundtracked by a powerful new soul sound courtesy of Kanye West, Just Blaze, and the Heatmakerz. Now widely recognized as "chipmunk soul," the style was popularized by Kanye and Just Blaze, whose innovative use of sped-up soul samples shaped the sonic atmosphere on JAY-Z’s magnum opus, The Blueprint. 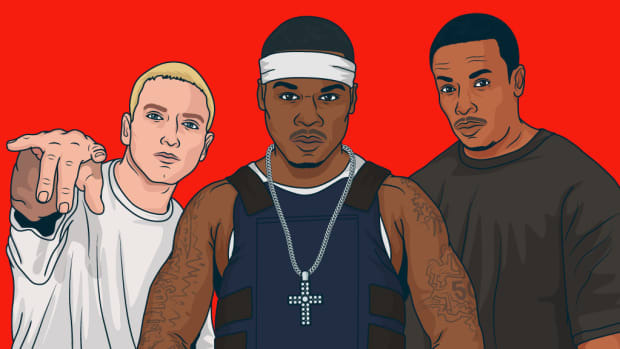 Subsequently, the Heatmakerz－who arrived at the Roc alongside Cam’ron and the Diplomats, in late ‘01—expanded on the trend by injecting it with steroids, adding a high-energy soundscape that would serve as the foundation for the Dipset movement. 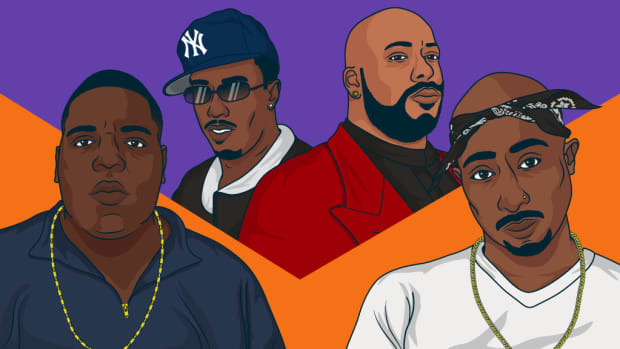 From there, the chipmunk soul sound became synonymous with Roc-A-Fella, as the label usurped Bad Boy as the leader of the East Coast and cemented itself as hip-hop’s lone power in the post-Biggie-’Pac era. Over a five-year stretch from 2000 to 2004, the Roc released numerous classics: The Truth, The Dynasty: Roc La Familia, The Reason, The Blueprint, Come Home With Me, The Blueprint 2, Philadelphia Freeway, Diplomatic Immunity, From Me to U, The Black Album, The College Dropout, and Purple Haze. All of those albums helped solidify chipmunk soul as not only the defining sound of the Roc-A-Fella era but also the most popular sub-genre in hip-hop. 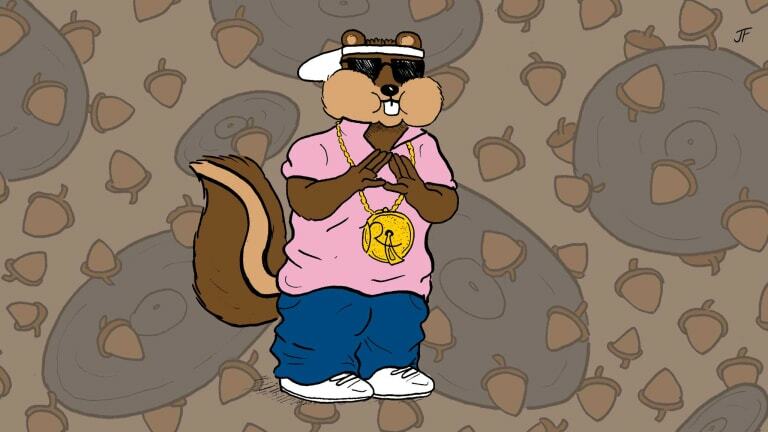 The parameters are simple: To be considered for our top 25, the song must a) Be produced by one of the three kings of chipmunk soul, b) appear on a Roc-A-Fella LP released between 2000 and 2004, and c) contain both components of the chipmunk soul aesthetic, i.e. sped-up, high-pitched vocals built around soul samples. 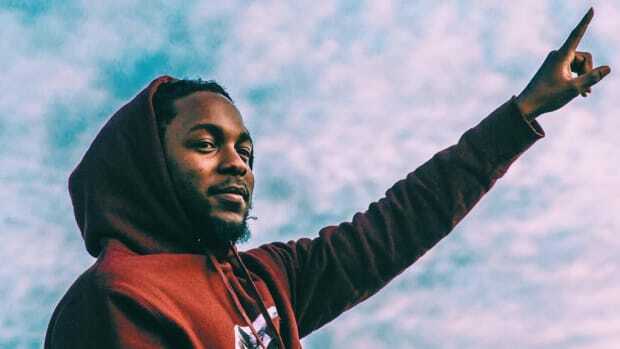 Now, before you attack us for failing to include certain beats, remember that the following tracks are disqualified: Cam’ron’s “Come Home With Me” (produced by Rsonist, who makes up one-half of the Heatmakerz), JAY-Z’s “1-900-Hustler” and “Blueprint (Momma Loves Me)” (Bink! produced both of these gems), any of Kanye’s chipmunk masterpieces that were NOT recorded by a Roc-A-Fella artist (T.I.’s “Doin’ My Job,” Game’s “Wouldn’t Get Far” and “Dreams,” Talib Kweli’s “Get By,” and Twista’s “Overnight Celebrity”), and songs recorded and/or released after 2004 (Juelz Santana’s “Oh Yes” and JAY-Z’s “Dear Summer,” produced by the Heatmakerz and Just Blaze, respectively). Finally, keep in mind that an endless array of timeless beats that aren’t chipmunk soul were removed from contention, including: a handful of Just Blaze offerings (Cam’ron’s “The Roc” and “Welcome to New York City,” Freeway’s “Alright” and “Flipside,” State Property’s “Roc the Mic,” JAY-Z’s “Intro,” “Streets Is Talking,” “December 4th,” and “PSA”); along with some of Kanye’s best work (JAY-Z’s “Takeover,” “‘03 Bonnie & Clyde,” “Encore,” and “Lucifer,” as well as The College Dropout’s “All Falls Down” and “Jesus Walks”). 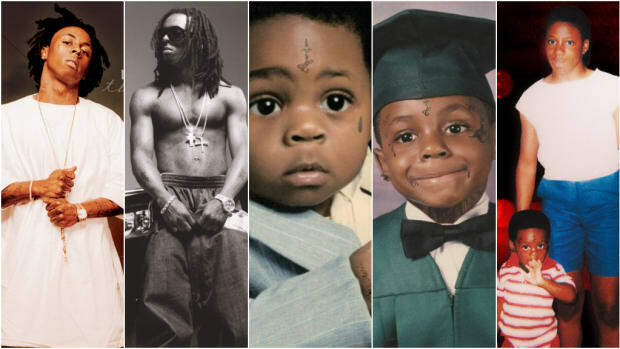 Without further ado, here are the 25 greatest chipmunk soul beats from the Roc-A-Fella dynasty. And don&apos;t worry, we made a Spotify playlist, too. Honorable Mentions: “Soon You’ll Understand” (JAY-Z, The Dynasty), “Dead or Alive” (Cam’ron, Come Home With Me), “Some How Some Way” (JAY-Z, The Blueprint 2), “More Than Music” & “This Is What I Do” (The Diplomats, Diplomatic Immunity), “Hear the Song” (Freeway, Philadelphia Freeway), “One Day I Smile” (Juelz Santana, From Me to U), “School Spirit” (Kanye West, The College Dropout), and “End of the Road” (Jim Jones, On My Way to Church). The chipmunk soul sound is built around two elements: sped-up vocals and soul samples. While Kanye and Just Blaze pioneered the latter, with their innovative use of sweeping soul samples, the style wasn’t recognized as a chipmunk aesthetic until the Heatmakerz took the former to another level, particularly by isolating a few words－or sound, even－to create the foundation for an entire beat. Perhaps the best example of this is found on “My Love.” Although it’s a mostly forgotten cut off Diplomatic Immunity, it may be the most Dipset-sounding song the Diplomats ever recorded, as the Heatmakerz chop up The Moments’ “Look What You’ve Done” en route to making it merely a chirp that pulsates throughout the track. Released in September 2002, just as Cam’ron began operating at the peak of his powers thanks to chart-topping singles “Oh Boy” and “Hey Ma,” “What We Do” put the rest of hip-hop on notice: Freeway was the latest Roc-A-Fella superstar. Over a gorgeous Just Blaze flip of Creative Source’s “I Just Can’t See Myself Without You,” Freeway out-rapped the GOAT and Roc veteran Beans, further solidifying the fact that everything Blaze touched in the early-’00s turned to gold. After lacing Beanie Sigel with a career-making beat that became the title track on his debut album The Truth, Kanye one-upped himself on Beans’ sophomore LP with “Nothing Like It.” Built around a sample of one of the most underrated R&B cuts of all-time, “Ain’t Nothing Like the Real Thing” serves as the backdrop for the opening track to 2001’s The Reason. In hindsight, it foreshadowed the sweeping soul samples that would define the soundscape on JAY-Z’s The Blueprint, due out later that year. Cam’ron’s debut on Roc-A-Fella introduced Juelz Santana as a superstar-in-waiting, with the Dipset underboss offering up scene-stealing guest verses on a pair of chart-topping singles (“Oh Boy” and “Hey Ma”) and posse cuts (“Come Home With Me” and “Welcome to New York City”) off Come Home With Me. And yet, Santana wouldn’t escape Cam’s shadow until the Diplomats released their debut album, Diplomatic Immunity, at the top of 2003. Fully aware of Santana’s potential star power, the crew gifted him a solo spot on the third track, “Who I Am.” Of course, his performance would be nothing without the Heatmakerz, whose brilliant flip of the O’Jays’ “Who Am I” set the stage for Santana’s career-cementing tearjerker, where he puts aside his tough-guy persona and spits straight from the heart. For as much as we credit Kanye for pioneering the heartful side of chipmunk soul with pristine production on “This Can’t Be Life” and “Never Change,” it’s fair to argue that Just Blaze perfected it. Consider: in 2001 alone, he crafted three nostalgic soul cuts, “Song Cry,” “Girls, Girls, Girls,” and “Mom Praying,” the latter of which is overshadowed by the former pair, merely because both appeared on JAY-Z’s magnum opus, The Blueprint. Nevertheless, “Mom Praying” is backed by a mournful beat that lets Beans lay to wax one of his most heart-wrenching verses. The Heatmakerz’s Dorothy Moore sample, which centers on the gospel singer wailing, “You are my crutch,” to that person in her life who doubles as her rock, would be a perfect opportunity for most rappers to get sentimental. But Cam’ron disregards the mood entirely, instead choosing to make “Purple Haze” his ode to weed. It may be a different crutch, sure, but between rolling his blunt, lighting it, and letting the high kick in, Cam ingeniously transforms the track into a four-and-a-half minute smoke break. Sure, “Girls, Girls, Girls” doesn’t have a lasting legacy equal to The Blueprint’s emotional standouts (“Never Change” and “Song Cry”), much less one on par with the four tracks which make up the album’s Mount Rushmore (“Takeover,” “Izzo,” “U Don’t Know,” and “Heart of the City”), but are we sure “Girls, Girls, Girls” isn’t criminally underrated? Consider: Assisted by Just Blaze’s gorgeous production, which features vocals from R&B singer Tom Brock&apos;s 1974 release, "There&apos;s Nothing in This World That Can Stop Me From Loving You” littered throughout the song, JAY-Z closes the door on his "Big Pimpin’" days with a heartfelt ode to women, even if the number of females mentioned screams womanizer. 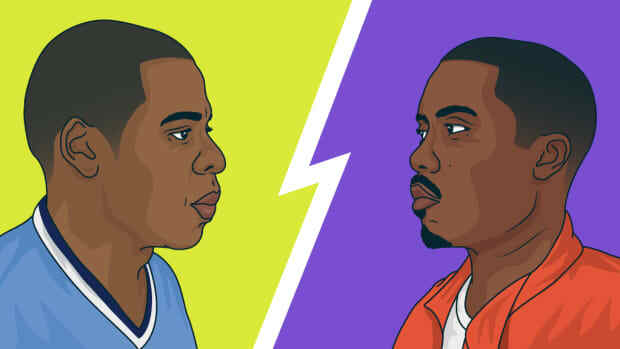 While “Takeover” and “Izzo” remain the greatest songs Kanye produced for JAY-Z’s legacy-cementing LP, neither track was included on the beat CD Ye gave his idol prior to recording The Blueprint. Instead, the mythical three-day recording session was kick-started by “Never Change,” which, along with “Heart of the City,” was among the first songs Jay picked to begin honing what would become his first certified classic. This should come as no surprise, for “Never Change” showcases Kanye at the peak of his powers: equipped with a nostalgic David Ruffin sample, Ye created a soulful ambiance that is not only one of his most pristine soundscapes but also the foundation for the sonic atmosphere that would define The Blueprint. “Dipset Forever” sounds almost like a parody of the chipmunk soul sound, to the extent that the only soul elements you hear come from Queen, whose high-pitched crooning serves as the backdrop for each verse. And yet, even if you prefer to imagine Kanye crafting this beat while simultaneously mixing the final version of The College Dropout, there’s no denying that “Dipset Forever” remains the nostalgic heartbeat to Killa Cam’s underappreciated second and last album on the Roc, Purple Haze. “DJ Enuff Freestyle” is neither the Heatmakerz’s best nor most recognizable beat (“Dipset Anthem” and “I’m Ready” share both of these titles). Even more, it’d be hard to make a case that it’s worthy of being considered among the five or 10 best samples in their catalog. And yet, “DJ Enuff Freestyle” is indisputably the most underrated cut off Diplomatic Immunity, if not in Dipset’s entire discography. If you don’t agree, I can rest assured that you haven’t blared this while driving down the streets of New York, for no song by the Diplomats－aside from “I Really Mean It” and “I’m Ready,” of course－simply goes quite like this five-minute, off-the-cuff blackout session. Though we’d seen JAY-Z let his guard down before, most recently on The Dynasty’s emotional standout “This Can’t Be Life,” The Blueprint’s poignant centerpiece “Song Cry” was Jay’s attempt at crafting a pure rap ballad, an introspective umbrella most rappers fail to resonate under. But, thanks to Just Blaze’s heartwarming sample and glittery strings, the GOAT came correct, touching on a failed relationship－which came undone due to his own infidelity－in a way that made him, if only for a moment, relatable. I have a hard time believing that the post-Sinatra King of New York－Bronx native Billy Joel－was the party responsible for his estate’s decision to not clear the sample of “Movin Out” on The Diplomats’ “You Oughta Know.” And if it was his choice, I have an even harder time believing that he actually heard the song, for if he did, it’d be irresponsible on his end to interpret this forgotten Dipset gem as anything other than an ode to the unofficial gatekeeper of the greatest city in the world, courtesy of fellow New Yorkers, The Diplomats. On the surface, “You Oughta Know” shouldn’t work, considering that rock samples, especially of mainstream hits as recognizable as “Movin Out,” rarely work in hip-hop. But when they do and arrive at the height of the Dipset movement, the result is glorious. Alright, we’re probably cheating on this one. “Killa Cam” strays far from the chipmunk soul aesthetic on multiple levels: After swapping out their signature, helium-induced vocal chops in favor of building around a reggae-inspired chant, the Heatmakerz then have the audacity to slow the beat down to a level that resembles Houston’s chopped-and-screwed wave. But though “Killa Cam” may lack a high-pitched soul sample, the Dipset sound is present enough that the high-energy rap anthem couldn’t be crafted by anyone other than the Heatmakerz. The fitting outro to Kanye’s debut album, The College Dropout, might as well have been titled “Here’s to Roc-A-Fella,” as the superproducer-turned-superstar rapper pledges allegiance to the Roc and shares a detailed timeline of his career, over a 12 and a half minute victory lap－which bleeds into a nine-minute, unfiltered monologue that’s more spoken word than rap. Kanye’s production shines throughout the curtain call, as Bette Middler’s “Here’s to the Roc” nestles comfortably into the listener’s ear, forming the backbone to arguably the greatest album closer in hip-hop history. Sure, “This Can’t Be Life,” is not the greatest Kanye beat JAY-Z has waxed nostalgic on, let alone the best production of his career, but, in being the first Ye beat for Jigga to see release, there’s no denying that it’s equally if not more important than the numerous classic collaborations that came after. Of course, the soulful cut is incredible in its own right, as Kanye’s twist on Harold Melvin and the Blue Notes’ “I Miss You” creates a nostalgic yet heart-wrenching atmosphere for Jay to submit one of his most sentimental verses. More than anything, though, “This Can’t Be Life”’s legacy centers on its influence and for good reason: Without it, there is no “Never Change,” “Heart of the City,” or “Izzo,” The Blueprint as we know it fails to exist, and the rise of chipmunk soul is but a dream. If we were ranking the most iconic/impactful/important chipmunk beats of all time, “Dipset Anthem” probably cracks the top five. That being said, if you forget about legacies for a moment—particularly, how the song, the music video, and “the Dipset Anthem dance” kickstarted the entire Dipset movement—in favor of grading the beat as its own entity, a spot in the top 10 seems reasonable. Now, this is in no way meant to steer you away from the undeniable fact that, 16 years on, the beat still feels like the beginning of something transcendent as soon as it’s cued up. It’s just that, I need more high-pitched wailing to rank “Dipset Anthem” higher, an element the final eight tracks have plenty of. The chopped-up Luther Vandross sample on “Slow Jamz” is so nostalgic that the first time I heard it—as an 11-year-old, sometime during the winter of 2004–I was convinced it had to be a smash straight from hip-hop’s golden age, for nothing could sound this familiar, this gorgeous; surely nothing being made at the time, at least, not with the radio being dominated by Dr. Dre’s clunky, updated synths courtesy of 50 Cent’s “In Da Club.” In hindsight, “Slow Jamz” was merely a timeless record from the jump, one that’s built on arguably the most recognizable chipmunk soul beat of all time, if not the best Kanye production period. I suppose I’d get my point across by merely stating the obvious: With all due respect to Killa Cam, “Down and Out” might be the most Kanye beat of all time. [Editor&apos;s Note: Kanye co-produced the beat alongside Brian "All Day" Miller.] A beat so soulful, so gorgeous, that it deserved to have a second home on The College Dropout, with an additional Kanye verse tacked on for good measure. Immersed in pure chaos, “I’m Ready” is Apex Heatmakerz. No rapper on the planet－not back then, not now, not ever－other than the Diplomats could body it, much less turn it into a masterpiece. On the surface it’s nothing spectacular, as Barbara Manson’s “Yes I’m Ready” repeats in an endless loop while Cam, Santana, and Jim Jones practically try their hardest not to stumble over it; but for Dipset disciples, the frenzied atmosphere is pure gospel, a world-conquering ensemble that should be chosen as every boxer’s walkout music from now until eternity. As the story goes, “Oh Boy” was originally meant for JAY-Z’s The Blueprint 2. But while Jay slept on it, Cam, who was angry that the “Izzo” beat－which Kanye originally wanted Dipset to record on－fell into Jay’s lap, took matters into his own hands, snatching “Oh Boy” and laying down his verses with Juelz, before walking it over to Hot 97 himself. 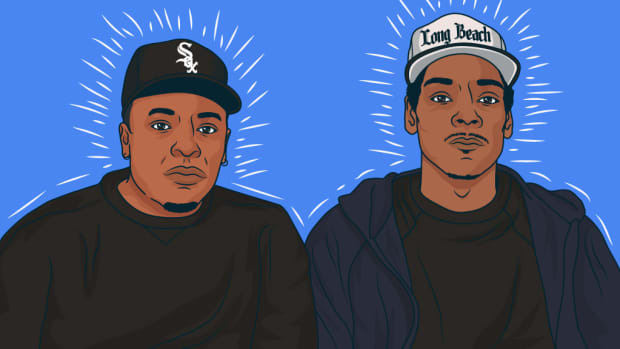 Ultimately, this amounts to one of the greatest ‘What If?’ scenarios in recent hip-hop history: If Jay had used “Oh Boy” to craft the unofficial sequel to “Izzo,” releasing it as the first single from The Blueprint 2, do we think of the album differently? 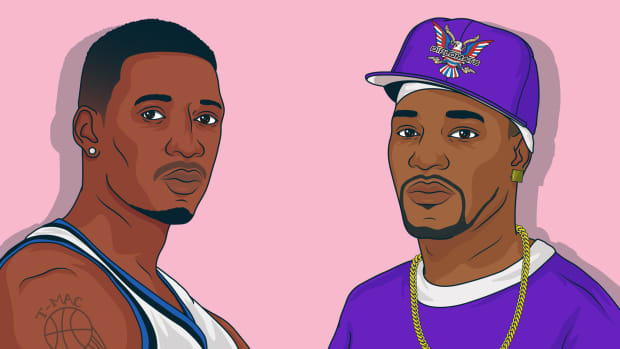 Even more, what happens to Cam’ron’s career? Or, better yet, the Diplomats? Alas, we’ll never know, which is probably for the best considering that no one other than Dipset has ever rapped around a looped sample so well, sharing the spotlight with it so much so that the chirp becomes a welcomed guest star. Update: After this story was published, Just Blaze reached out to DJBooth to clarify that Cam&apos;ron was not aware at the time that the beat was originally meant for JAY-Z, and that he took the record to Hot 97, not Power 105. "They were still playing the short demo version way after we released the actual finished song," Just Blaze said. For an entire generation of hip-hop fans, “Izzo” is used as a point of reference: there’s pre-“Izzo” and post-“Izzo,” with the latter representing the beginning of rap as we know it. Granted, “Izzo” was a time-capsule moment for new and old heads alike, marking a major sonic shift in hip-hop production that is only now recognized as chipmunk soul. Other than a young Kanye, who has a big enough ego to flip a sample as recognizable and pure as the King of Pop’s biggest hit from his childhood? No one. Thankfully, Ye did so masterfully, with a joyous loop of “I Want You Back” that’s everlasting. Discussing The Blueprint’s legacy with XXL in 2009, JAY-Z offered up the following in regards to “U Don’t Know”: “I remember him playing that joint, and I was like, ‘Oh my God.’” Besides “Holy F****** S***,” is there another three-word phrase that explains your initial reaction to hearing Just Blaze’s earth-shattering call-to-arms? I didn’t think so. As if the blaring horns, pounding bass, and picture-perfect soul sample weren’t enough, what do you even make of the architect himself sounding like he left something on the table? “We knew it was hot, but I wanted to do more with it. I always wanted to make it bigger and better, and make the drums hit harder, and the bass more in your face. I always say to myself, &apos;I wish I got the opportunity to do that over.’” I guess we’ll never know. Just when you thought Kanye had snatched the King of Chipmunk Soul title belt for good, Just Blaze came correct in 2002, lacing Dipset with a pair of tour de force beats that forced the crew to second guess who their superproducer consigliere really was; the Heatmakerz may remain unofficial members of The Diplomats, but in 2002 Just Blaze gained full ownership of the Dipset sound, on the strength of “I Really Mean It,” alone. 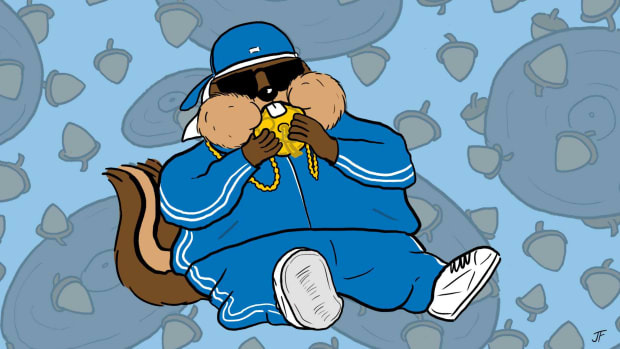 The triumphant standout off Diplomatic Immunity remains the greatest song in the Dipset canon, while cementing Blaze as the then-King of the chipmunk soul sound. In the end, those who accused Kanye of “saving all the good beats for himself,” as was discussed on The College Dropout closer “Last Call,” were right: Even after giving up a trunk-load of his best beats to JAY-Z, who put them to good use on The Blueprint standouts, Kanye was sitting on a masterpiece. “Through the Wire” is timeless for many reasons, all of which focus on the narrative surrounding it: Kanye, just two weeks after almost losing his life in a car accident, recorded the track with his jaw wired shut, literally rapping “through the wire.” More than anything, though, “Through the Wire” remains the greatest chipmunk soul beat of all time because of the wailing Chaka Khan sample, which Kanye transforms into a nostalgic anthem fit for any rapper busy defying the odds on the road to greatness. Editor&apos;s Note: In a previous version of this article, Kanye West was incorrectly credited as the lone produced of Cam&apos;ron&apos;s "Down and Out," which was produced by Brian "All Day" Miller, with co-production by West.